Tauranga Harbour with Matakana Island foreground, Rangiwaea Is. Centre, Motuhoa Is. 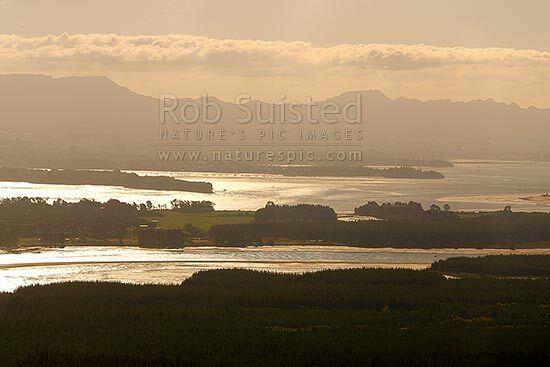 left, and Kaimai Ranges behind, Mount Maunganui, Tauranga District, Bay of Plenty Region, New Zealand (NZ), stock photo.